KAMPALA- “Over time, how has Buganda looked at herself with Uganda? Has she consistently and persistently looked at herself as an integral part and partial of Uganda? Or have there been times or occasions have Buganda ended to look beyond that unity and get the visions of self-governance and autonomous? Is she partly within Uganda or wholly outside Uganda? 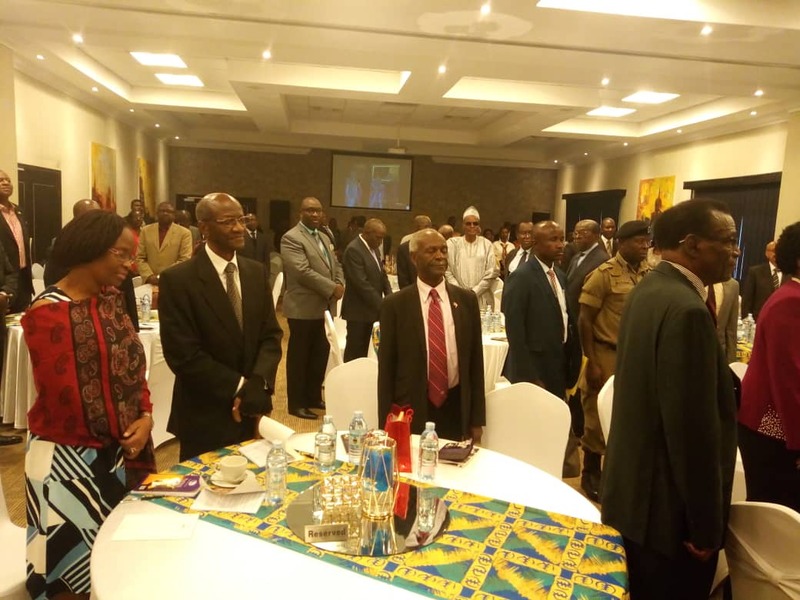 Justice James Manage Ogoola, a former Principal Judge of the High Court of Uganda made the above remarks as he addressed a gathering during Mr. Apollo Makubuya’s book launch at Mestil Hotel on Tuesday morning. Mr. Makubuya, is the 3rd Deputy Prime Minister (Katikkiro) and Minister for Justice and Constitutional Affairs of the Buganda Kingdom who authored a book titled Protection, Patronage or Plunder? His has since created discussion social media as it raises key patent issues including Buganda’s position in Ugandan affairs. The book looks into the British Machinations and (B)Uganda’s struggle for independence including the unresolved issues like the land question, federal among others with the central government. “In the last one century and a half, we have had a problem of how to fit Buganda into Uganda,” Justice Ogoola said adding that all the past options including deporting the Kabakas (kings), storming the palaces, and imposing legal documents have not worked. “We must find a solution, all the solutions we have tried before didn’t work,” he said. 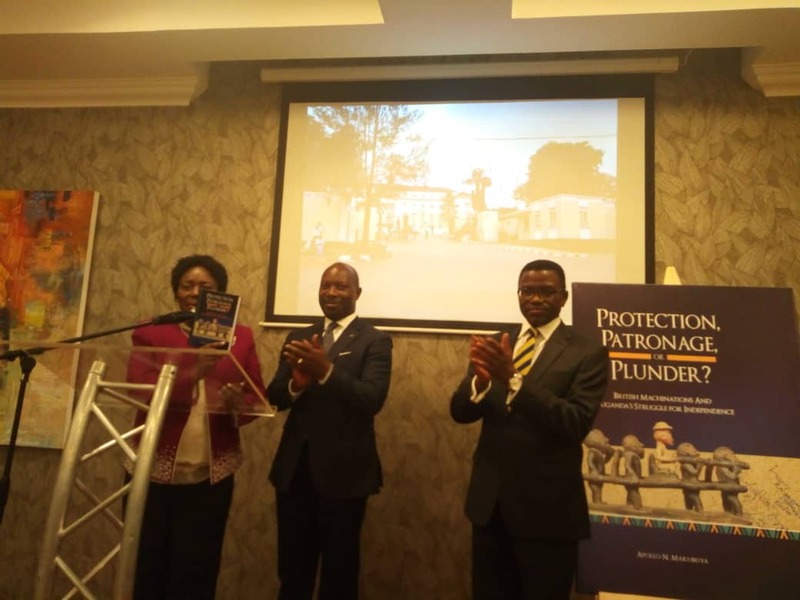 Speaker Kadaga who was the guest of honor thanked Mr. Makubuya for revisiting the relations between B-Uganda and the British colonial government saying the book will reshape and help the young generation understand Buganda’s role in the struggle for Uganda’s independence. In his part, Buganda Kingdom Katikkiro Charles Peter Mayiga said argued do research and write actual books like Mr. Makubuya whose publication he praised. “We should inherit a habit of writing our own stories from our own perspectives and with the truth. Write about the history and the present,” he said. 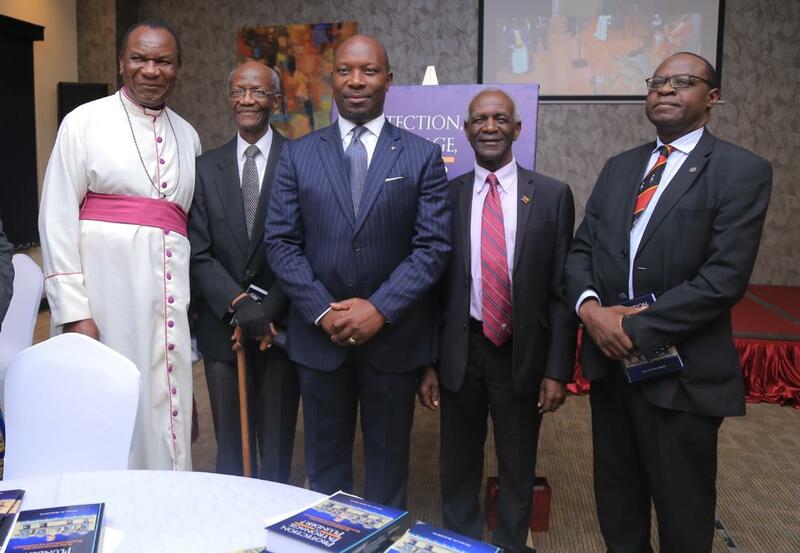 “This book has been a labour of love originating from a yearning for more knowledge about the history of the ancient kingdom of Buganda, with the puzzle of how it grappled with the complexities presented by the forces of Christianity and, later, colonial rule,” Mr. Makubuya said of his book. He also said the subject of Buganda has long held a particular fascination for scholars, politicians, and travelers explaining that such allure is not misplaced given the central role the Buganda kingdom has played throughout the recorded history of the country.